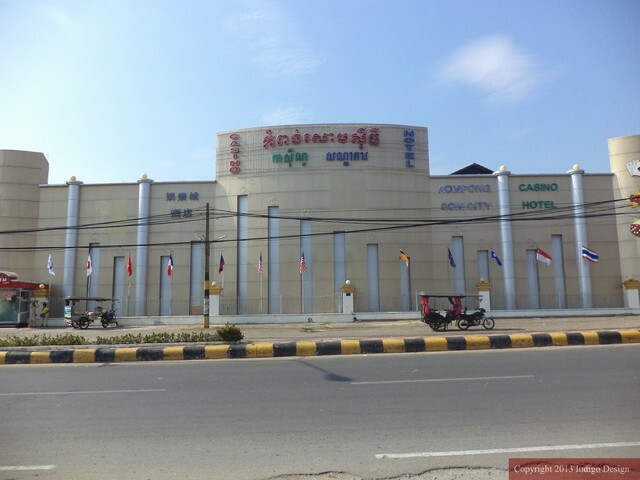 The excellent 3-star Kampongsom City Hotel & Casino is set in a tourist area within a 30-minute walk of Xtreme Buggy .The hotel is set 100 meters away from Golden Lion. Set within a 10-minute walking distance from Sihanoukville city center. 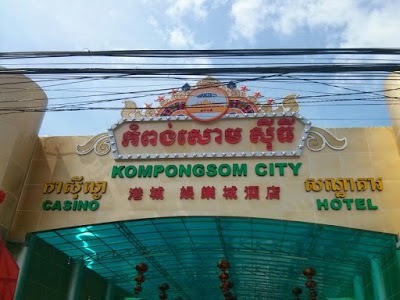 Guests at Kampongsom City Hotel & Casino are accommodated in rooms with free Wi-Fi, individual climate control, flat-screen TV, a dining area and a seating area. Bathrooms are appointed with a shower, free toiletries and slippers. A buffet breakfast is offered at the restaurant. Situated 200 meters from the venue Sandan and Happa's Restaurant serve a variety of food. Guests can make use of car and bicycle rentals available on site. The hotel offers a casino and a swimming pool as well as a massage room and a Jacuzzi.